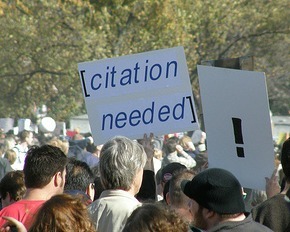 Researchers, publishers, libraries and data centres all have a role in promoting and encouraging data citation. The key to verifying and validating research is the identification and access of datasets. But cultural and behavioural barriers to sharing data are still widespread. Rachael Kotarski, the Content Expert for scientific datasets at the British Library, explains why citing data, as well as the article, is the way forward. Data are not necessarily fixed, stable or homogenous objects, so citing them can be considerably more complicated than for articles. In a previous post, Lee-Ann Coleman looked at citations in science, asking what should be cited, and what a citation means. The answers to these questions are not necessarily simple, but one response we have been hearing (and that we support), is that data needs to be cited. Citing data not only gives credit to those who created or gathered it, but can also give some kudos to the repository that looks after it. Despite the fact that data is also key to verifying and validating research, it is not yet standard practice to cite it when writing a paper. And even if it is cited, it is rarely done in a way that allows you to identify and access that data. These are the three ‘simple’ steps to better citation of data, but there are still cultural and behavioural barriers to sharing data. In the ODE report we concluded that the whole community – researchers, publishers, libraries and data centres – all have a role in promoting and encouraging data citation. This was originally published on the British Library Science blog and is reposted with permission. Rachael Kotarski is the Content Specialist for Datasets in the Science, Technology and Medicine team at the British Library, supporting the development of content and services around scientific research data. This has included the introduction of research data discovery at the British Library and day-to-day work on DataCite, which allows institutions to register DOIs to their research data for better citation.